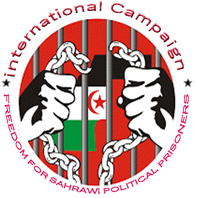 London (United Kingdom), April 6, 2019 (SPS)- England and Wales High Court (EWHC) has recently implemented the decision of the Court of Justice of the European Union (CJEU), which has recognized occupied Western Sahara people's right to self-determination, after the examination of a complaint lodged by Western Sahara Campaign UK (WSCUK). The CJEU ruled in 2018 that the European Union, in concluding agreements with Morocco, must respect Western Sahara people's right to self-determination. The decision of the European court of justice noted that Morocco's territorial jurisdiction does not extend to the territory of Western Sahara or to the territorial sea adjacent to Western Sahara." Western Sahara Campaign UK disclosed that products from occupied Western Sahara are being imported to the United Kingdom and dealt with as Moroccan products under the "illegally concluded" European Union-Morocco Association Agreement. Rabat new measures against MINURSO, "unprecedented"